Handwriting skills are developed over time with experiences that involve the eyes, hands, arms, and body. 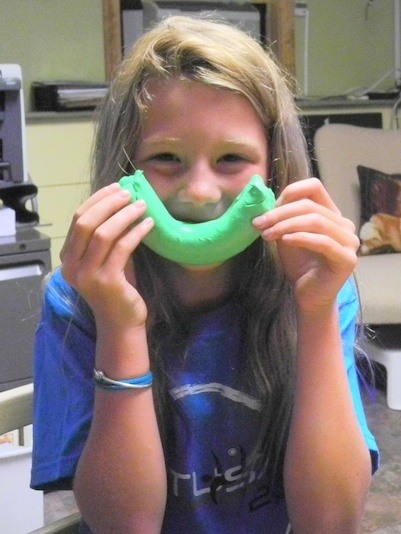 There are so many movements that build up to fine-motor efficiency! One of the most important facets of a child’s handwriting success is his chair. Yes, the chair plays a key role in placing the important parts of the body in the correct place for building handwriting skills. Here’s why! An appropriately sized chair places a student’s feet flat on the floor, resting easily with a 90-degree angle at the ankles. This provides a stable foundation for sitting comfortably in the chair without slouching. This will place the knees into a 90-degree angle, as well, allowing the student to sit back in the chair with an erect posture. 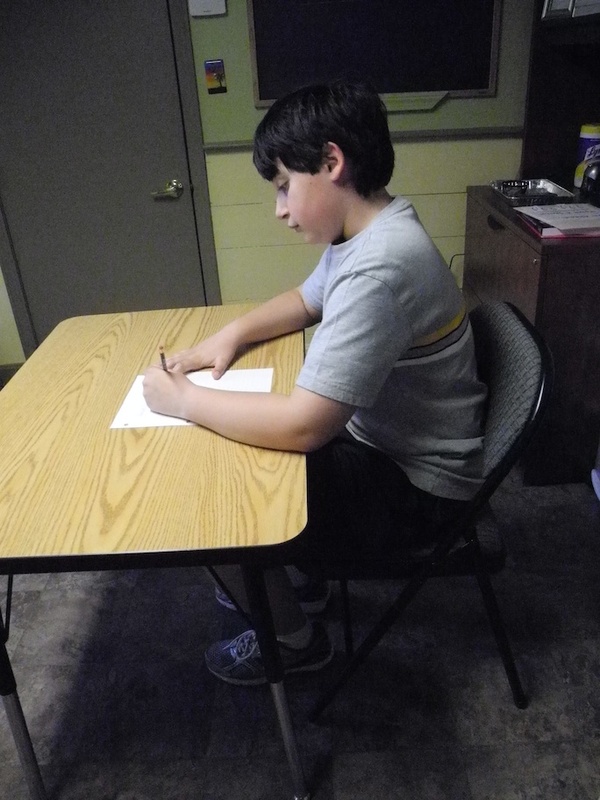 When a student is able to sit comfortably toward the back of his chair, his hips will naturally fall into a 90-degree angle and allow him to maintain an upright posture for fine-motor work. The back of the knees should not be more than 1” from the edge of the edge of the chair to avoid cutting into the student’s leg and to prevent slouching toward the front of the chair. When a student is seated comfortably using the “90-Degree Angle Rule,” the tops of his legs should not touch the bottom of the desk. If there is a tight fit between the tops of his legs and the bottom of the desk, then the desk is too low. 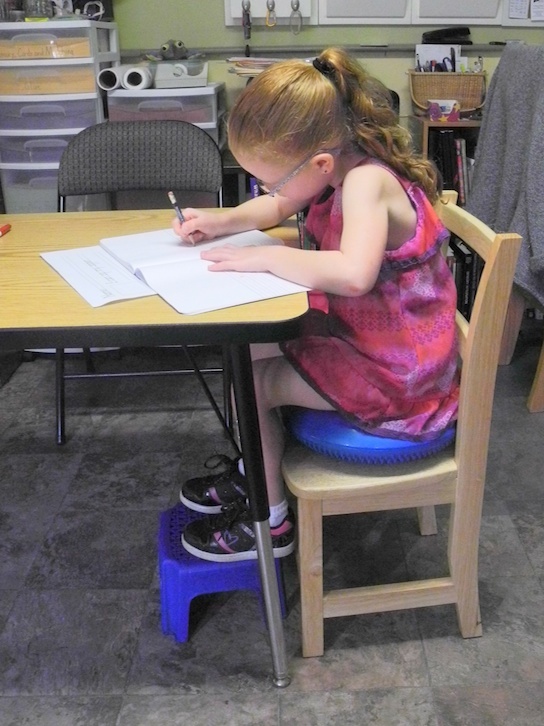 When a chair provides a stable sitting posture, it is easier to adjust the desk height to fit each student’s handwriting needs. The desktop should be between 1 and 1-1/2” from the bottom of the student’s flexed elbow. 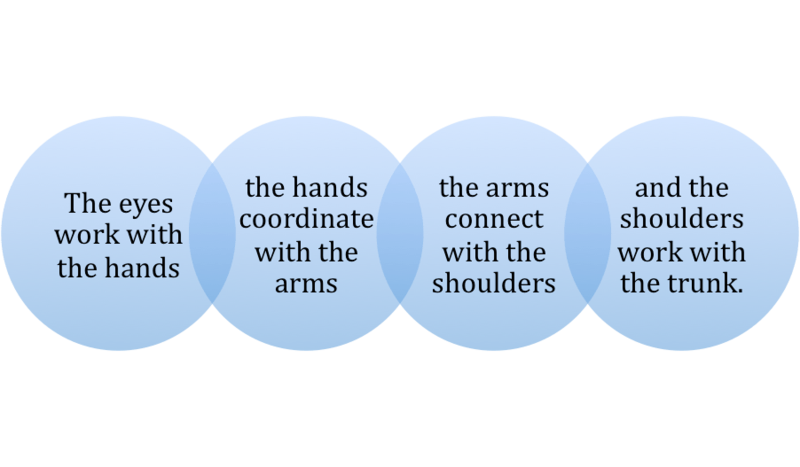 This allows the student to rest his arm comfortably on the desk and to utilize smooth handwriting movements. Now that we’ve determined the correct chair and desk heights for our young hand writers, let’s talk about 5 quick fixes that can help you get these parts into the right places! If a child’s feet do not touch the floor, a book or small stool under his feet can place his ankles into a 90-degree angle and allow his feet to rest flat in a comfortable position. If a child’s chair is too low, he can sit on a book or cushion to raise him up and place his hips and knees into 90-degree angles. If a child’s desk is too low and cannot be adjusted, and his chair is at an appropriate height, books can be placed under the legs of the desk to raise it up. This is not an optimal solution but will do in a pinch! If a child’s desk is too high, and his chair is at appropriate height, a book under his feet and a cushion on his chair should bring him up to the correct elbow height for handwriting ease. 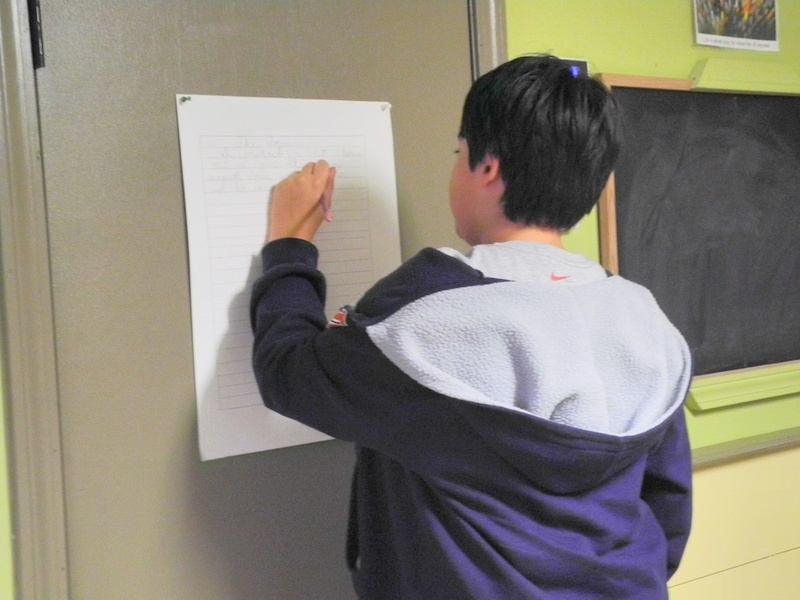 If all else fails, then the best possible solution would be to allow the student to stand at a table or counter that is at elbow height to complete his handwriting work. If this is not available, then he can work on a vertical surface (taping his worksheet to the wall), which will also help him develop strength in his shoulder, arm, wrist, hand, and fingers! By providing students with the appropriate chair and desk heights for handwriting skills, we are giving them the opportunity to learn correct posture for every time they are seated in a chair or at a desk! Good posture is a life-long skill! I hope that you have found this resource to be helpful. If so, you can download a free printable on my website!